Here’s what I like to wear when I’m working out. 1. Super Fun Yoga Pants: Definitely the most fun thing in my workout wardrobe AND these feel so cool! I always get compliments when I wear these. 2. Reusable Shopping Tote: How cute is this?! I use this to carry my clothes in my car when I don’t have time to go home and change in between work and class. 3. Nike Favorite Sports Bra: This is my favorite sports bra. I have it in black and in pink. 4. Nike Dual Fusion Lite: I actually found these when Kohl’s posted them on Instagram. I’m wearing them here with some fun pants I got from my yoga studio. 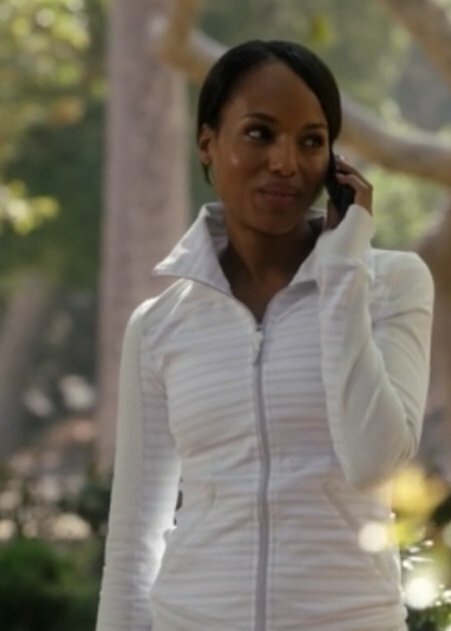 I got this jacket in my never ending quest to dress like Olivia Pope. I also love the pants in this picture. They’re from the Gap outlet and they have a double seam on the inner thigh that’s super flattering. I don’t think you can shop the outlet online, but these seem similar. Here they are in action. 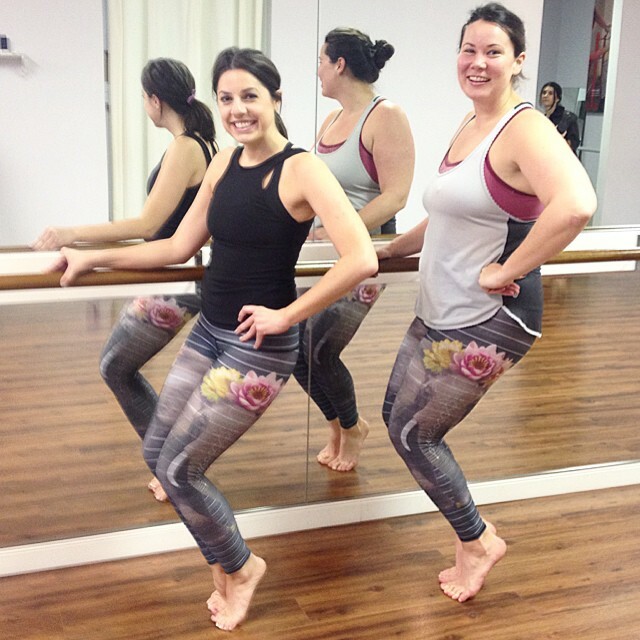 My barre teacher was wearing the same ones! And here they are in serious action. I’m wearing my favorite tank in this picture. It was called the Nike G87 but now I think it’s called the knockout tank? I have it in black, white and mint. It’s so, so soft. 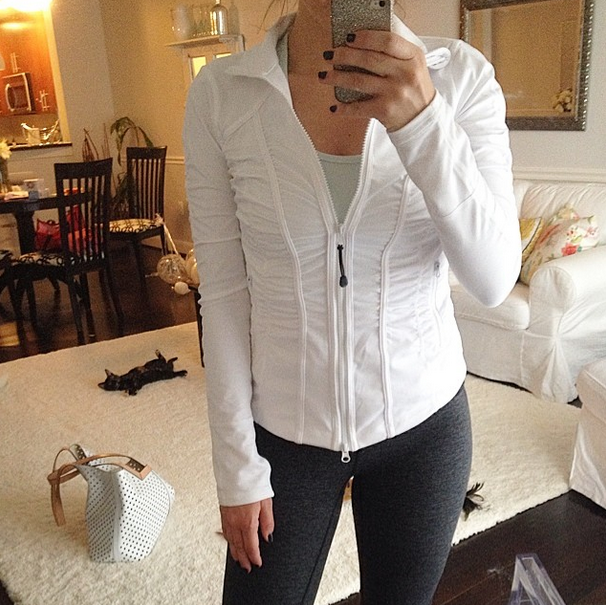 My friend Liz raves about the wonder unders from Lululemon. I still haven’t tried those but I always wander into the store to see what new things they have. I finally caved when I saw this Free To Be Wild sports bra. Update: It’s now out of stock (boo), but I got the Free to Be bra in white and I love that one too. I also found this tank and the neckline reminded me of this dress, so I picked it up too. 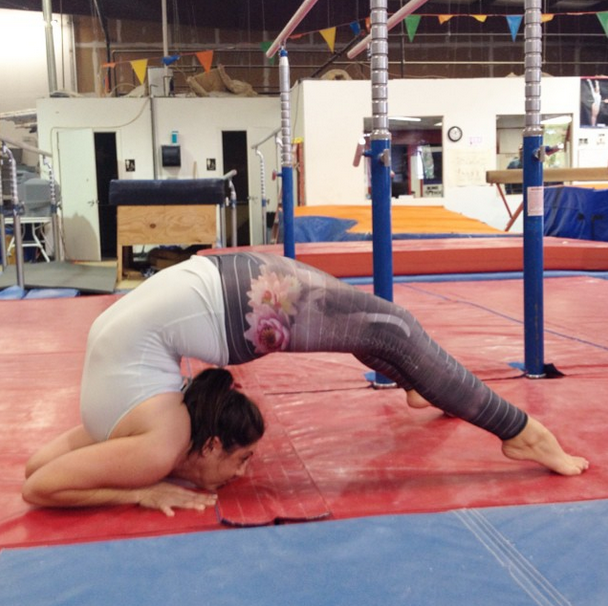 My favorite places to work out are Richmond Barre, Hot house Yoga and Gymquest Gymnastics (they have an adult tumbling class on Sundays at noon that I go to with my friends). I pretty much wear the same thing no matter which I’m going to, but the sweat wicking clothes are definitely my favorite for yoga. But, sometimes workout wear ends up just being lounge wear. Here are a few of my favorite things for hanging around the house or running errands. Update: How could I forget to mention Marshalls/TJ Maxx. 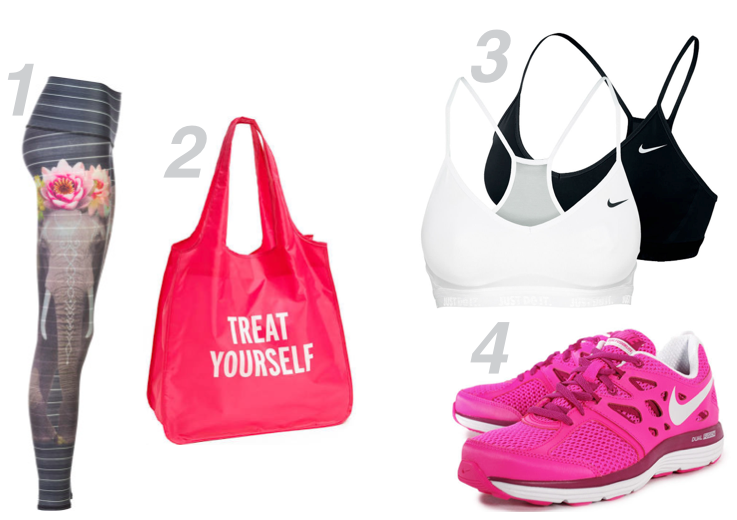 These are some of the BEST places to get workout gear. I can’t really link to anything from there because you never know which stores have what and when, but I love stopping in here for deals. I have picked up a few of these Nike “Favorites” tanks there and and my latest find was a pair of stirrup leggings that I LOVE for barre class (similar here and here).